Gahhh I am sorrryyyy!!! This is the first item I ever received from Charis and it's only now I'm getting to talk about it! Now I am finally here with my sort of review and thoughts for Abelrouge's Miracle Sleeping Pack 2. Abelrouge is all about skincare that can survive the harsh and dry Korean winter, and so I thought that the main thing for me was to see whether this could be adaptable to the hot and humid Philippine weather. Packaging and Scent: This has a lovely citrus scent which I think will remind some of the Korean hallabong. Or yuja? Or basically, it smells fancy and orangey. It's light and uplifting, which I think is bound to leave a good impression for plenty of users. The packaging, for me, however, is not luxe enough to justify the price of this cream. I feel that much more thought could have gone into making a more unique jar, better font usage, and stuff. But oh well, it does its job of containing the product anyways. 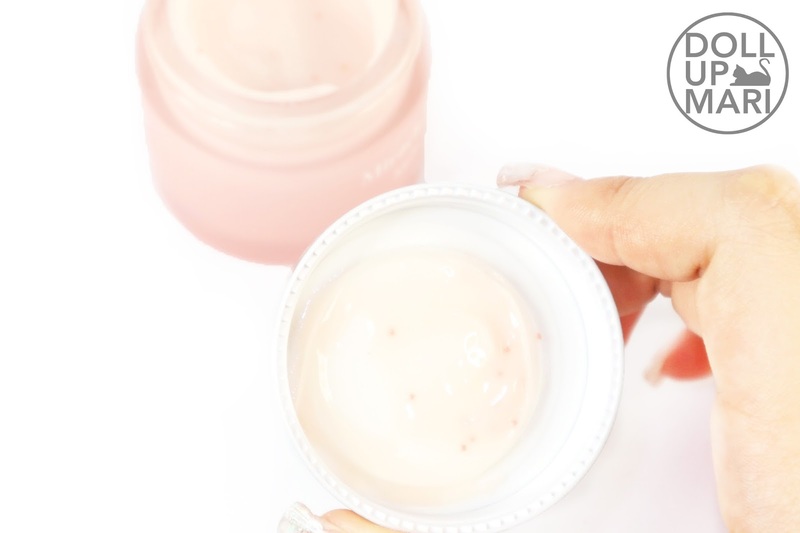 Product Texture: This is a light cream-gel hybrid that will flow slowly if the entire jar is tilted to a wild angle for a long time or if shaken vigorously to one side on purpose. This is a lot like an emulsion in the aspect that it feels light but it has an emollient feel to it. 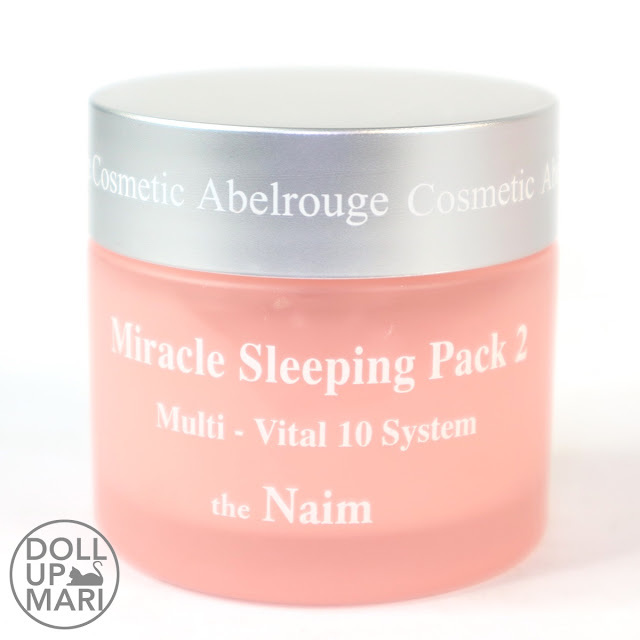 This formulation also has vitamin beads inside that will gently pop upon application. Thankfully, this doesn't feel gunky or sticky to apply at all. This isn't like a lot of Korean packs that are too sticky and thick that it's like applying hair gel already. Hydration vs. Oil: Thus far, I have been finding myself having a slightly oily feel after using this, like when I swipe across the area I applied it on, it really feels like I just applied something even after some time has elapsed. It doesn't dry out fast, that's something I can be certain of. You can tell that this is created for cold climates because assuming you were in the winter, you would want your skincare to not dry out too fast. But thankfully it doesn't feel like it's there for too long that you begin to feel self conscious. I reaally feel that my skin never feels thirsty when I use this. Much of it is actually getting absorbed; while it's a bit oily, I get that it has to be like that to actually enable consumers to survive the Korean winter. The formulation may not be neccesarily targeted to the Philippine climate, but its gel texture doesn't feel heavy even in the Philippine context. It just works well enough to hydrate without the trap of overnutrition (yes apparently it's a thing). If you have really dry skin, you will really like this wherever you may be. If you're going to a cold country anytime soon, you may want to stock up on this. 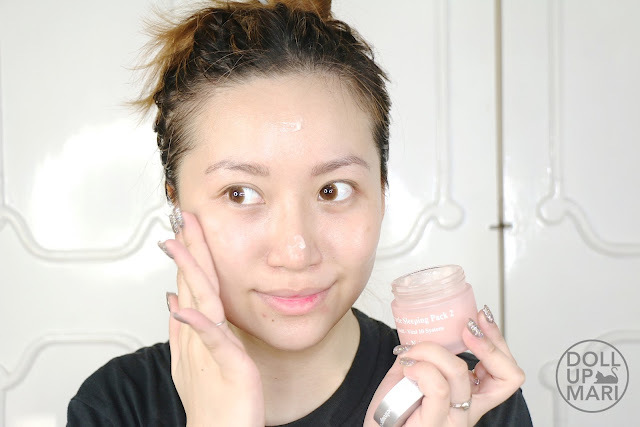 Skin Texture Refinement: Thus far, I have felt that this, like any other high end Korean skincare product, does a good job in texture refinement. Skin feels supple and bouncy with this. Pores aren't so annoyingly large, and whiteheads are more behaved (yes it's either they behave or misbehave to me hahaha). 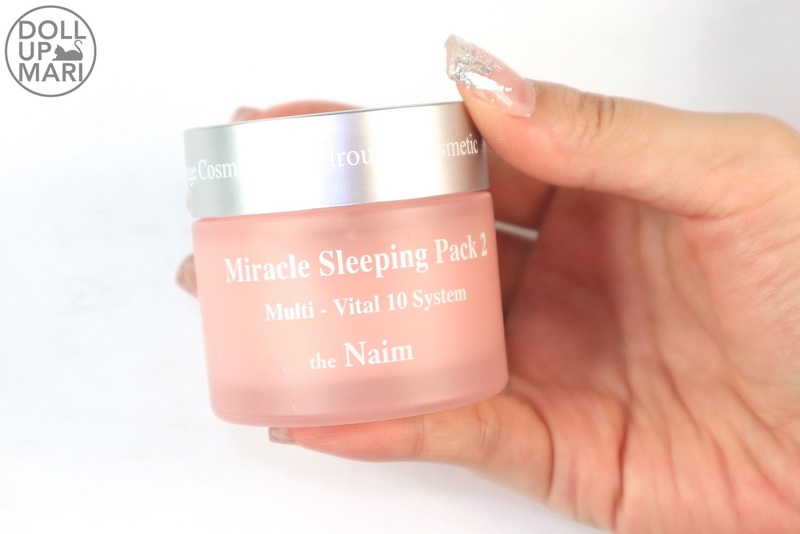 Radiance Boost: I think that this does a relatively good job in giving a glow once you sleep with it, but I'll be honest that I was expecting a more obvious and dramatic radiance boost given the equity and price of this product. 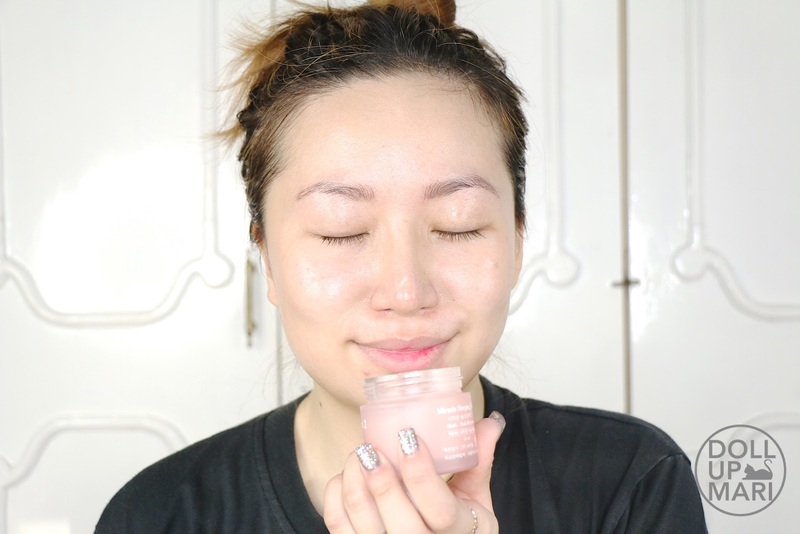 I have been using other items from Charis and there is this unexplainable "I woke up like diss" glow when I use them. I saw that the most when I tried Huxley products. When I use this, while it does help to make a radiant look, there was this sort of 1% X-factor that was missing. Value For Money: Perhaps my general issue about this item is that for an item of this price (it's 59.99 from Charis), I was expecting better packaging and a much more extraordinary effect. This is a great product, but at the price it can be a little better. This is extremely good in hydration, but I feel that this could've been more mindblowing in terms of radiance boost. But if your problem is your skincare drying out too fast or if your country/skin is super dry, this is an investment worth trying. Overall Feedback: I feel that this is a great item to survive the harsh Korean winter and for basically anyone trying to have supple and bouncy skin in dry climates. For people with dry skin, this will also be a good choice. If you're looking for a formula that's not heavy but is able to provide superior hydration, this'll be a good choice. Citrus lovers will also love this product due to the lovely fragrance. 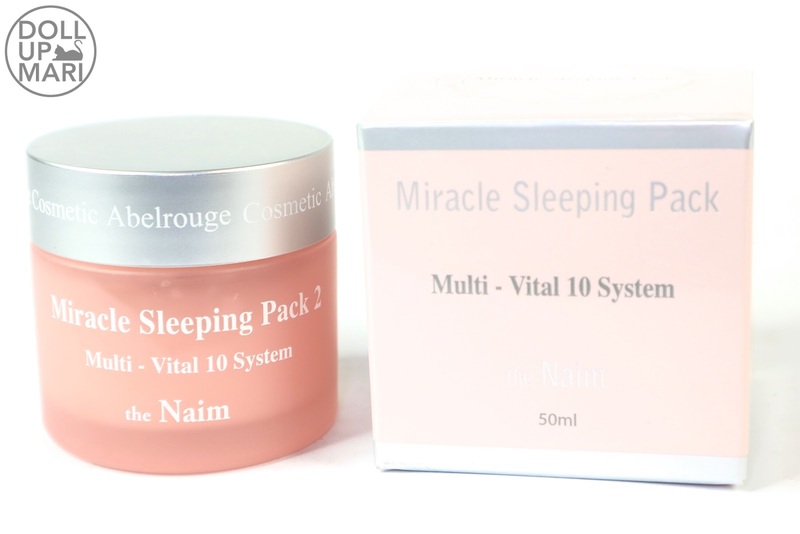 Although I personally will be honest that the Aqua Miracle Cream from Abelrouge is a much much better investment at the same price. Kaaaay now that we're done with the nitty gritty, let's proceed to the other stuff! So this is how the packaging looks like. It's a simple jar. I reaaally wish they could have done more to make it look more luxurious. The moment you open it up, there is a plastic lid on the product. This is a product that will flow if tilted reaally heavily and will set if left untouched for a very long time. But still it's a whipped formula that will not randomly spill out of the jar at random. If you look closely, you'll see the microbeads. 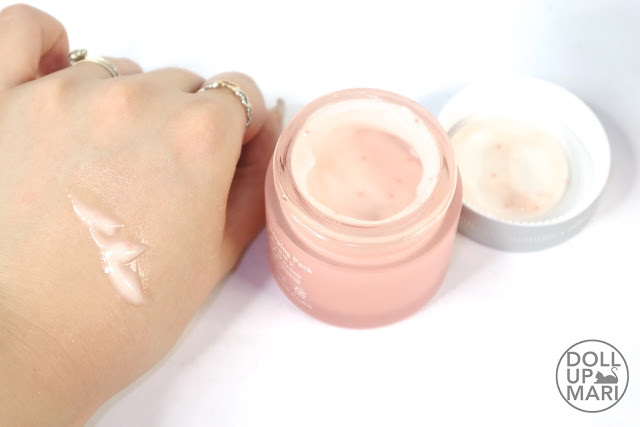 The moment you smear it on, you can already feel how intense it is in hydrating. The nice part is that I can get away with using just a little each time because of how emollient and hydrating this is. And it smells super refreshing! So yaaay that's it for this review. This is available at Charis for those who are wondering.